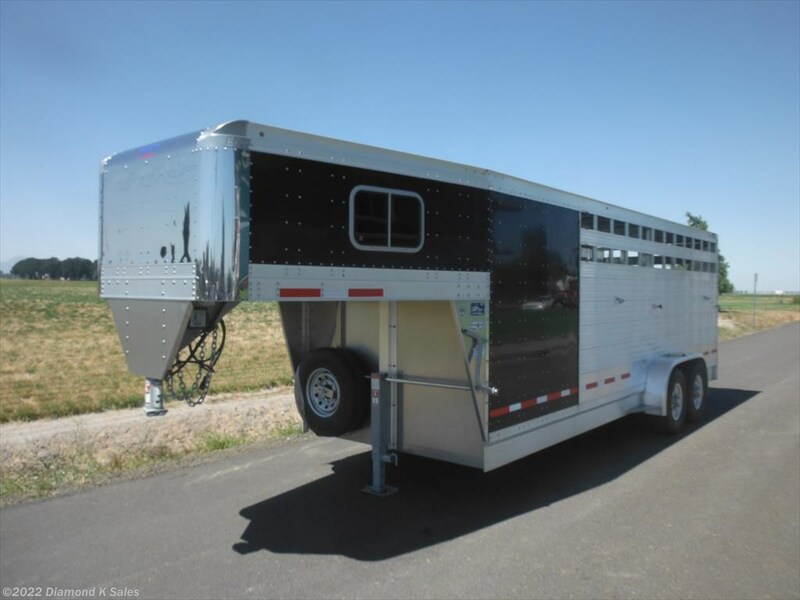 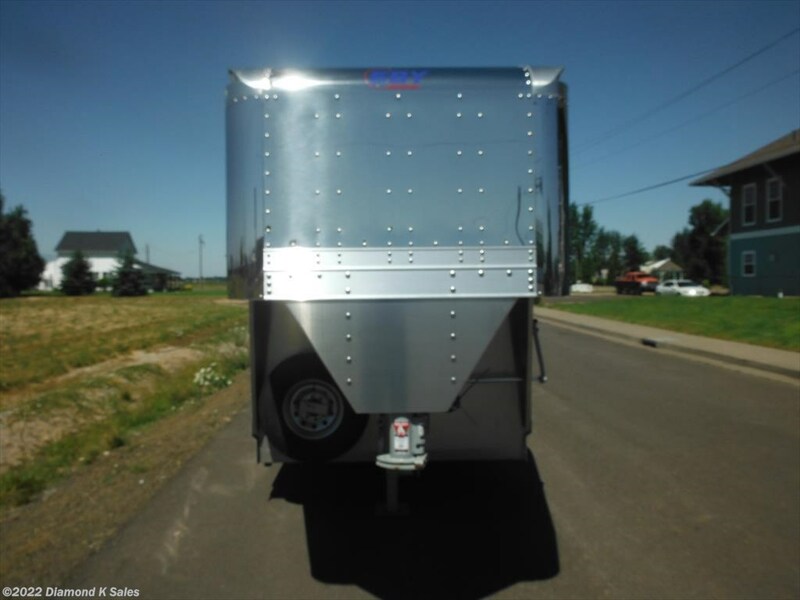 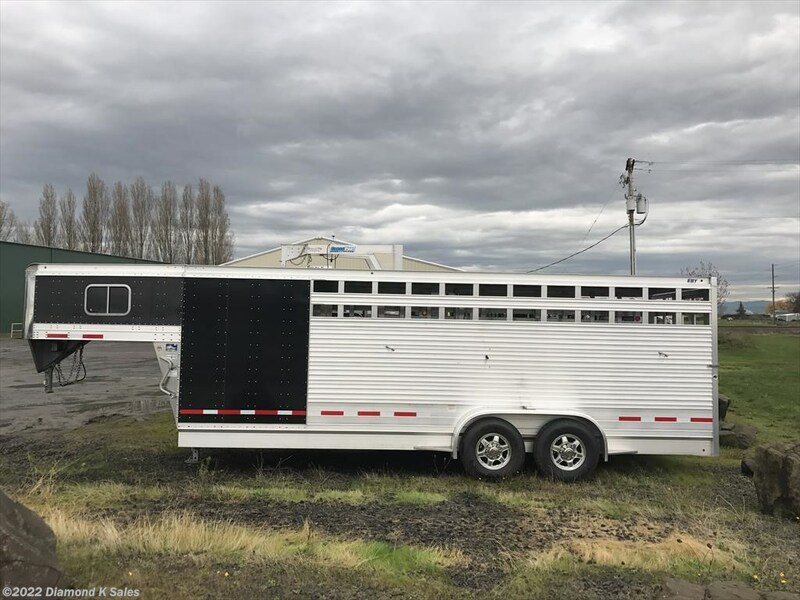 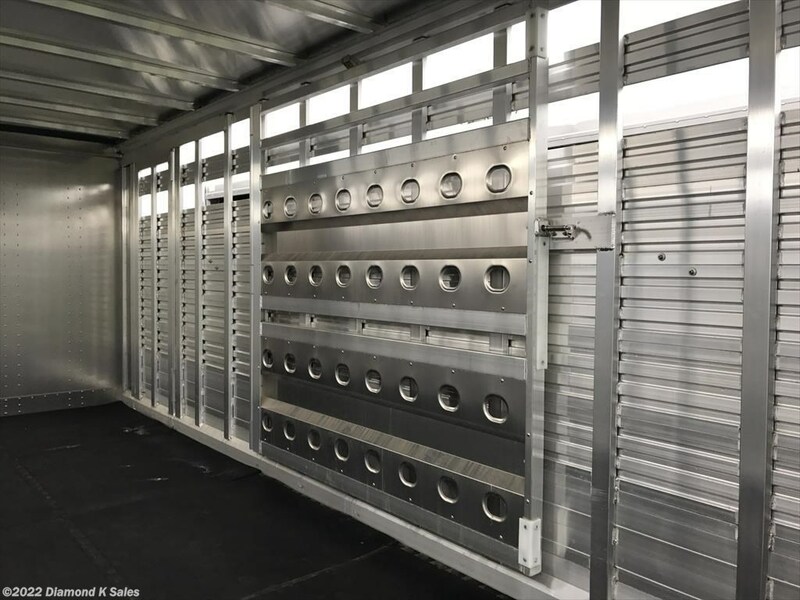 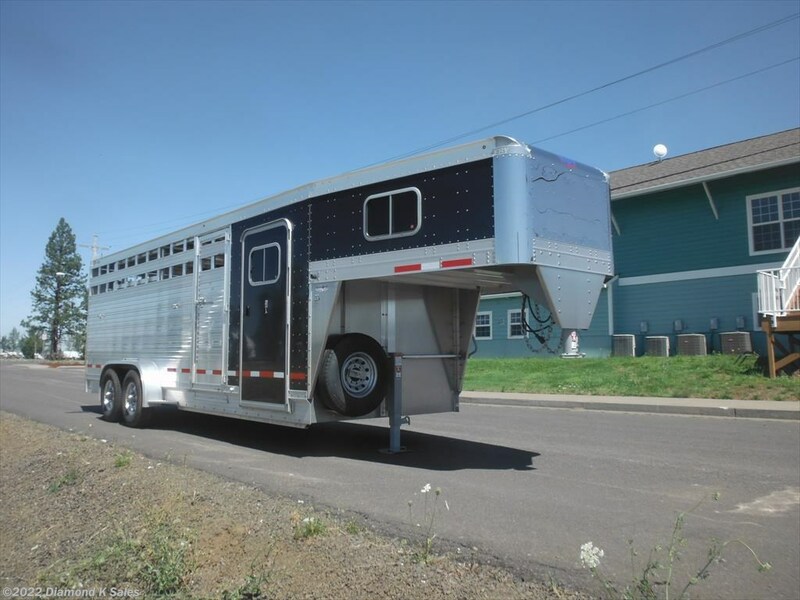 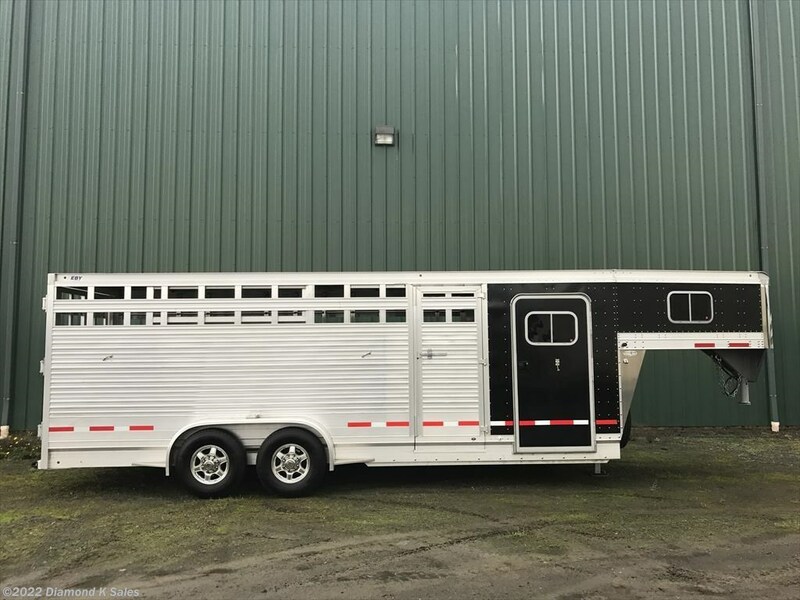 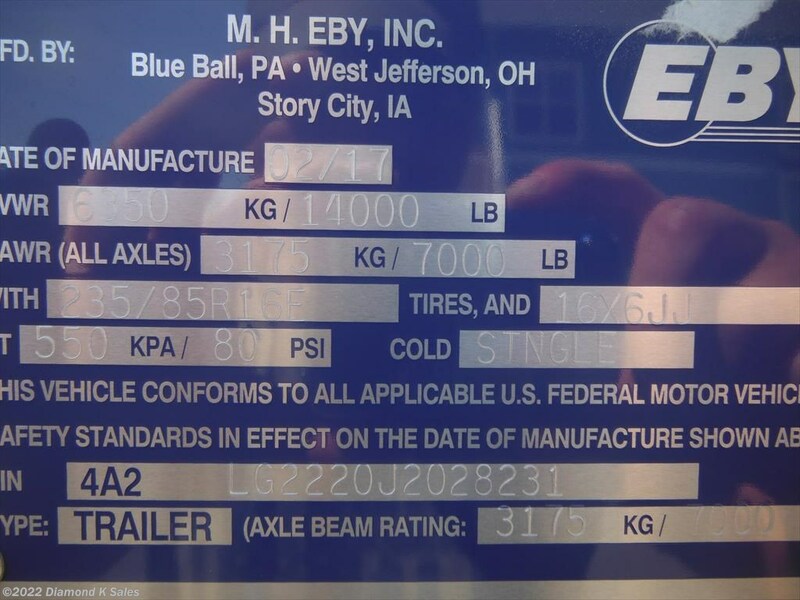 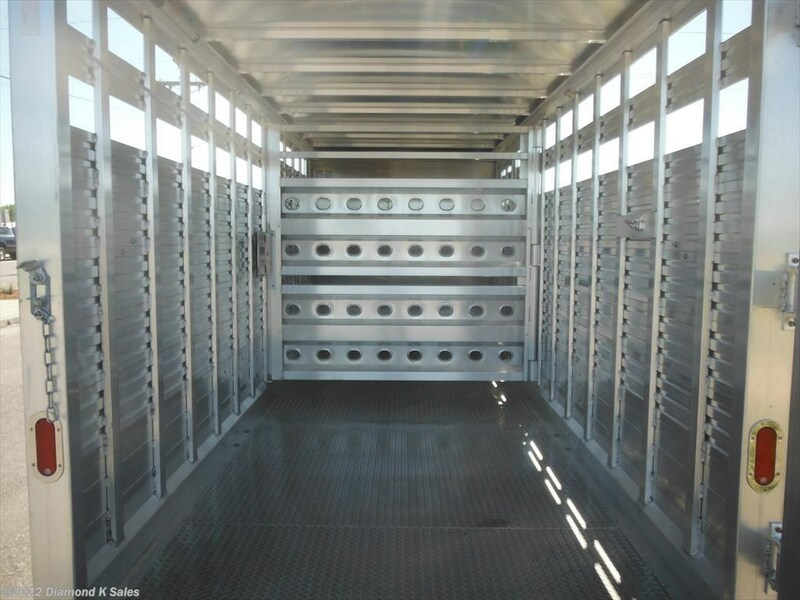 2018 EBY MAVERICK Gooseneck Combo Aluminum Stock Trailer, 14k G.V.W.R. 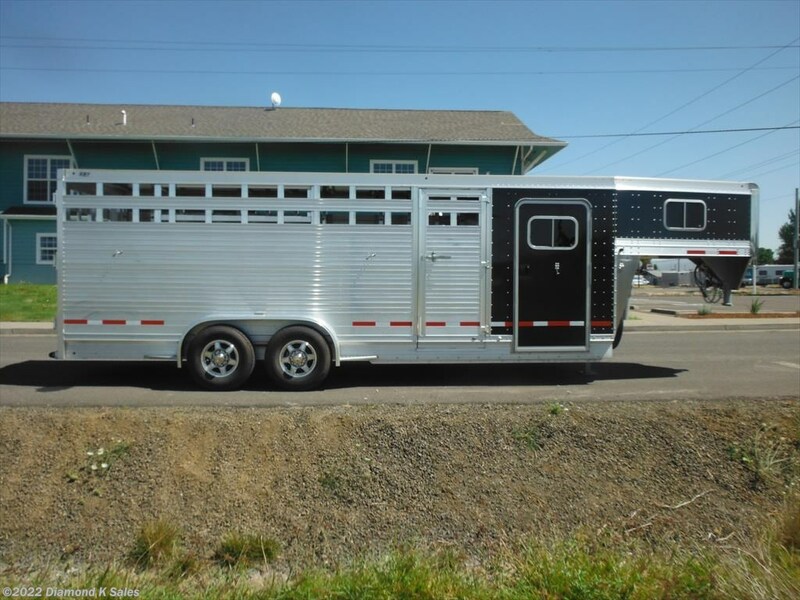 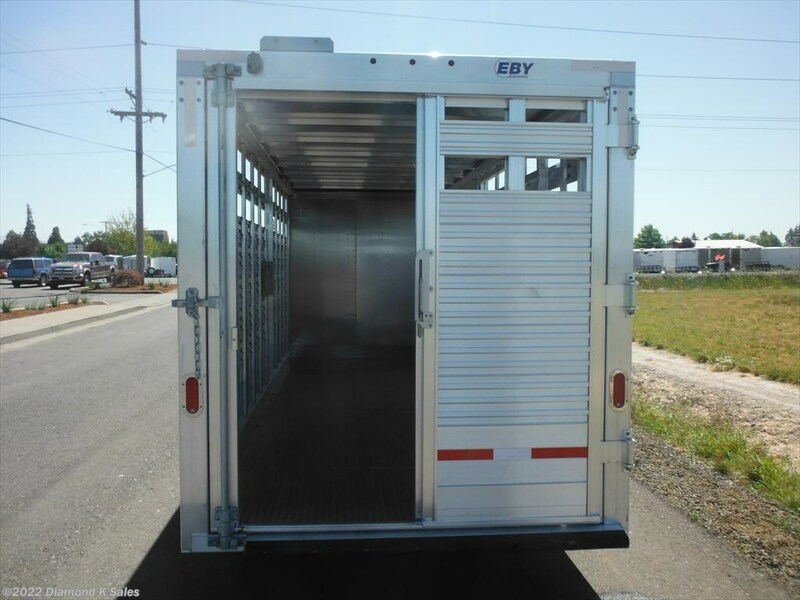 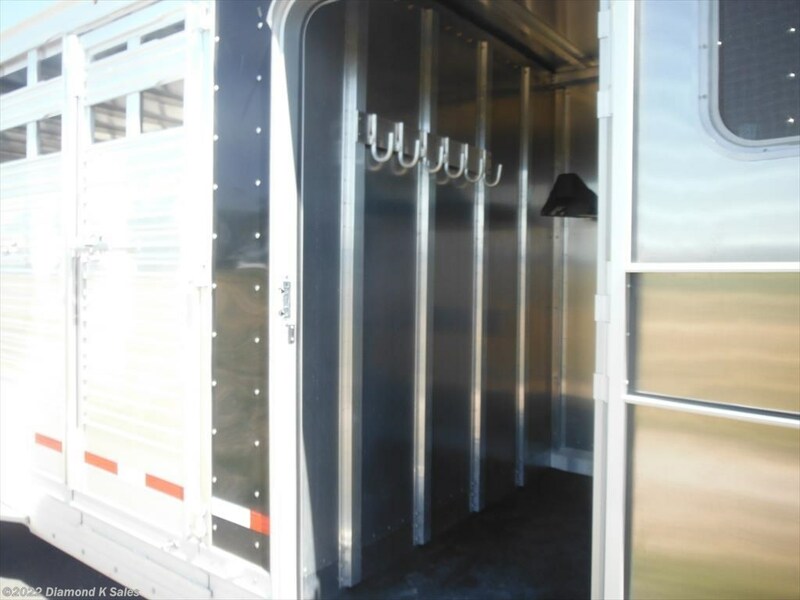 (1) full hinged gate in livestock area, (4) cast aluminum tie loops on outside located (2) per side, round aluminum inside tie rail on roadside. 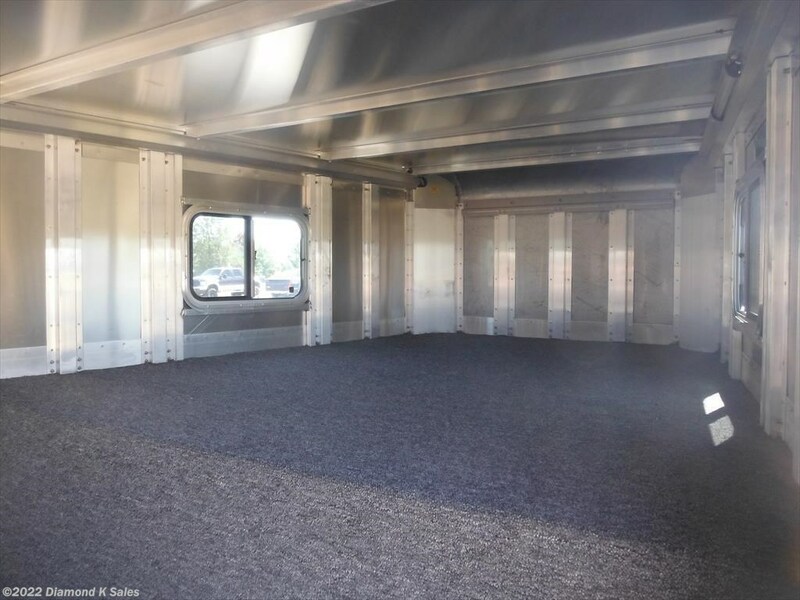 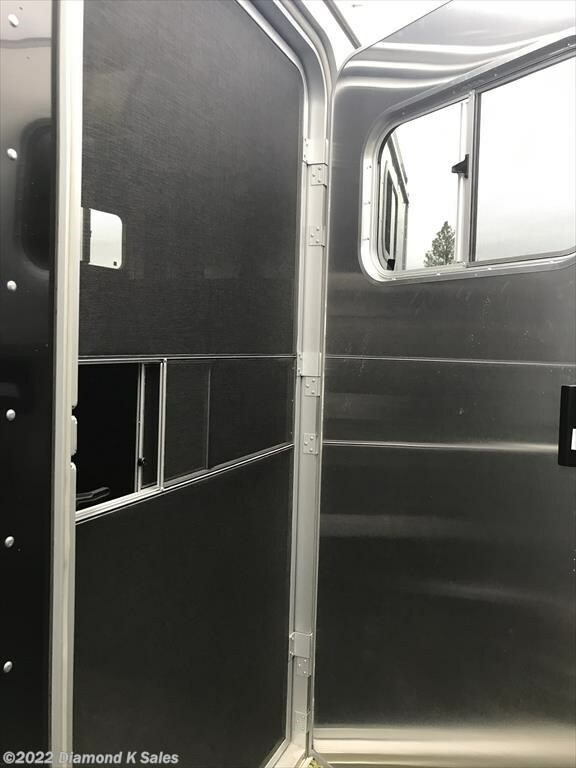 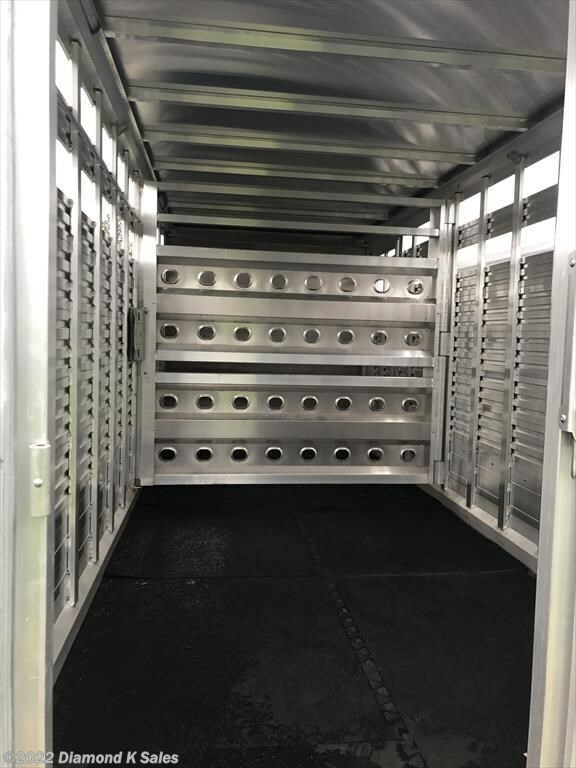 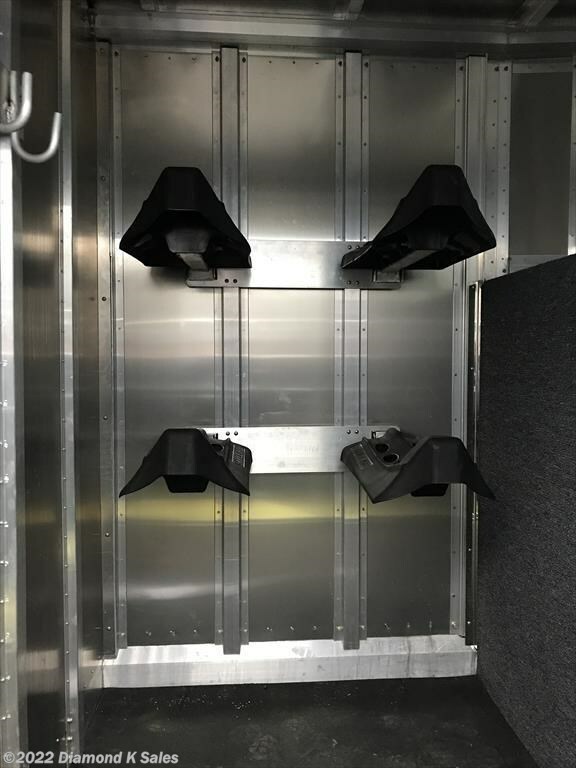 4' tackroom area w/ rubber mat on floor includes (4) saddle rack holders spaced in pairs, (4) removable saddle cradles, and (6) bridle hooks, rubber mat.